Preface The book has been thoroughly revised and a number of sections have been rewritten. Some elementary topics have been included to meet the requirement of the beginners in engineering studies deleting some sections of lesser utility. 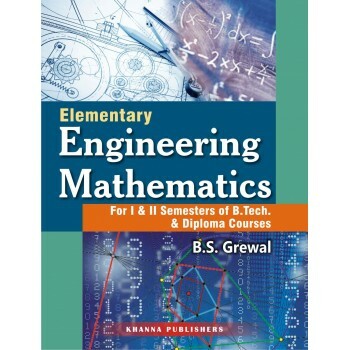 A variety of new illustrative examples and problems selected from various examinations papers which sharpen ones skill to use various methods, have been added. The list of Objective Type of Questions appended to each chapter, has also been also been updated. It is hoped that the book in its revised form will serve a move useful purpose. The authors take this opportunity to thank fellow professors for their suggestions and patronage of the book. Suggestions for improvement of the text and intimation of misprints will be thankfully acknowledged.